For years the Chinese government attacked internet gaming as “electronic heroin” that would enslave and rot the minds of its youth. 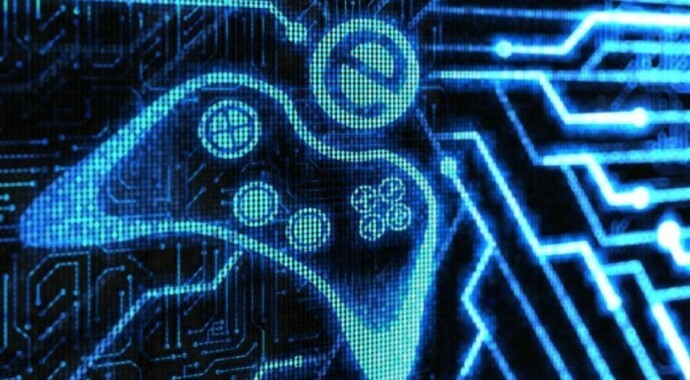 Consoles like the PlayStation or the X-Box remain officially banned from sale. But now the army of 120 million Chinese online gamers has proven a constituency too large to ignore. Later this year, the latest in a series of ideologically correct online multiplayer games will hit the market. Glorious Mission was carefully scripted by seven Propaganda officials and overseen by the People’s Liberation Army. Its purpose: to instil “the core values” of the military in its players as they carry out a series of combat missions and teach young Chinese gamers how to be heroes. Over the past few years, the Communist Party has funnelled millions of pounds to game companies in the form of grants and tax breaks to create games embedded with propaganda. “Online games can now teach people history and culture in China,” the People’s Daily, the official mouthpiece of the Party, noted. “The Party-state has candidly integrated online game technology into its expanding propaganda domain,” wrote Nie Hongping, a professor at Oxford university, in a recent research paper. Shanda, one of China’s largest gaming companies, created a game called “Learning from Lei Feng”, named after one of the Party’s ideological heroes. Shanda “gifted” the game to Shanghai’s Communist Youth League so that it could be used to “further strengthen and improve ideological and moral construction of minors”. Players won points for acts of selfless Communist spirit and the winners were greeted, on screen, by Chairman Mao in Tiananmen Square. Points were deducted, however, each time a player had to be taken aside by his local Party secretary for a “corrective chat”. To ensure that the moral fibre of its players was not eroded, the game shut itself off after 35 minutes. A source inside Shanda said the game was “totally” initiated by the Party. In return, the company was rewarded with special status that allowed tax breaks. Another game, named Incorruptible Warrior, saw players battle corrupt officials, their mistresses and their children. It was sponsored by the Disciplinary arm of the Communist party in Ningbo but attracted so many players its servers crashed and it was shut down. One gamer, named Wei Lan, said the game had “lots of bugs”: “There were mistresses in their bikinis all over the street and the way to kill the corrupt officials was simply copied from another game called The Legend of Mir 2″. He said the game might even have been a vehicle for government officials to launder money, so shoddily was it made. In general, only fighting games, many of which are set during the bitter war with Japan from 1937-1945, have proven truly popular. Games like Resistance War Online have succeeded in introducing a generation of young Chinese to the roots of the anti-Japanese sentiment that lingers on in the country today, and indeed saw violent nationalistic protests break out last year. A spokesman for ZQ Games, the developer of the series, said it has around two to three million players at any one point for its “Red Games”. “We specialise in nationalistic games,” said Li Minghui. “We also have some products based on current affairs, like Defending Diaoyu Island (an island chain that is claimed by both Japan and China). “We are the only game developer with Chinese culture-based games as our core business. The central government has given us a lot of support. Even Hu Jintao has paid us a visit, in 2010,” he said. By 2011, ZQ Games relied on government grants and tax breaks for almost 71 per cent of its profits. The Communist Youth League owns a fifth of the company. On ZQ Games’ investor relations website, one shareholder has called for “more realism and more history” and “less propaganda”. “The spirit of gaming is about balance,” he pointed out, adding that the gameplay was dulled by the invincibility of the Communist forces. Liu Yang, a Shanghai-based game developer said the games with the most propaganda embedded in them had been the least successful. “The problem is that the propaganda related themes are not intrinsically popular with players and tends to push them away. “The public today have their own judgment and criteria, and most of them do not like this sort of propaganda stuff,” he said. Meanwhile, Prof Nie found that the Chinese players in Resistance War Online often spent more time squabbling with each other than fighting the Japanese. “The players are easily distracted from the patriotic nature of the game and have, instead, turned the games into feuds among the Chinese resistance forces. Ironically, the internal feuds are actually closer to the historical reality than the notion of a perfectly united resistance against the Japanese”.